To start this off right, let me give you a fun mental picture. I am currently huddled in my bathroom with a space heater. Don't judge. It's the warmest place in our furnaceless house right now beside's sweet pea's room which we have decked out with heaters and blankets as well. But she's sleeping in there right now, so that just leaves the bathroom and me! While going about our frigid house this morning, I got to thinking about seasons. Not just seasons in nature but seasons of life. Some long (like the season of being the mom of a baby), some temporary (like my life in 20 degree weather without a furnace). You know those people that in the Summer just can't wait for Fall and once Fall comes around, Winter sounds so exciting. Once Winter has gotten cold enough, they count the days down till Spring and so on? The sad thing about that cycle is that you never truly get to appreciate and fully enjoy the season you are in. You miss out on so much beauty! Well, I'm a little like that with life sometimes. I can get so bogged down by the negatives of the season I'm in that I start dreaming of the next. I'm in this season right now where I really can't go anywhere because Sweet Pea still takes 3 naps a day. If we aren't home for her naps she doesn't sleep well. If she doesn't sleep well it starts this crazy cycle of her not sleeping at all! So I feel sort of trapped! As I was thinking about it this morning, it hit me. This is just a season of my life. A very brief season in the grand scheme of things. I can spend my time wishing I weren't in it and dreaming about when I won't be, or I can live fully in this season and enjoy the role of motherhood that God has called me to for this season! I can savor those snuggles on a cold day, make lots of memories with my baby and keep in mind that I will miss these moments greatly one day. This is a time in our lives that we will never have back again! So why keep looking to the next season when there are so many things to enjoy in this one! James 4:13-15 Come now, you who say, "Today or tomorrow we will go to such and such a city, and spend a year there and engage in business and make a profit." Yet you do not know what your life will be like tomorrow. You are just a vapor that appears for a little while and then vanishes away. Instead you ought to say, "If the Lord wills, we will live and also do this or that." God has you in the season you are in for a reason! Instead of trying to get out of it and dreaming of the next season, let's look for the lessons to be learned and learn them! Ecclesiastes 3:1There is an appointed time for everything. And there is a time for every event under heaven. If you are right where God wants you, then be content! 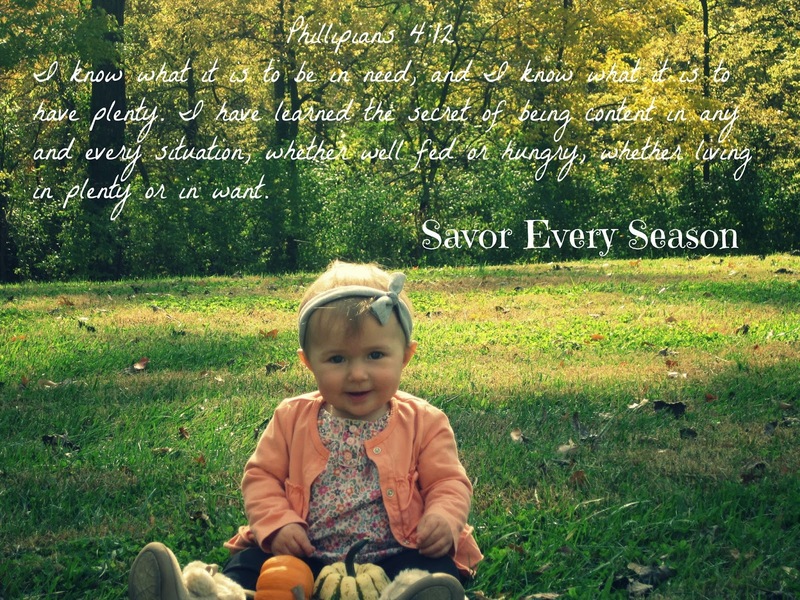 Savor the season you are in. Look at all the positive things instead of focusing on the negative or the things to come. You may look back and miss this season, or you may not! But let's live each season in such a way that when we do look back, we have no regrets. Phillipians 4:12-13 I know what it is to be in need, and I know what it is to have plenty. I have learned the secret of being content in any and every situation, whether well fed or hungry, whether living in plenty or in want. I can do all this through Him who gives me strength. If you are struggling in this season of life, look to the Lord for strength and for perspective. He's got you where you are for a reason! I've been challenged to stop living for the "somedays" or someday I may look back and wish I had really lived. I agree with what you say. I'm trying so hard to enjoy my season of retirement :) oh, and my season of grandparenting - Julie is going to have her baby any day now - number 6 for me! I'm glad you are enjoying your season! How exciting :) I know you are a wonderful grandma to those babies! 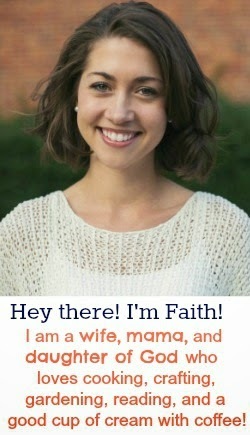 This is beautiful Faith. Such a wonderful reminder to be content where we already are.